Are you thinking of removals to Adelaide? We will be happy to provide you with a great advice and help! If you are planning to leave the UK in a hunt for a higher life standard, better paid job and a quieter living you could choose moving to Adelaide. It characterises by a very low unemployment rate and relatively little living costs. 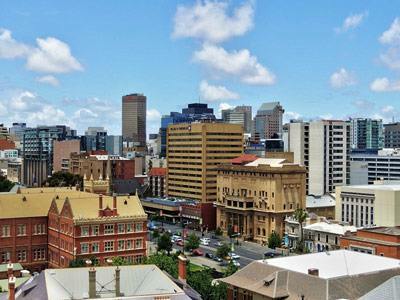 One of the cities that you should consider living in if you are thinking of relocating overseas is Adelaide. It is the 5th largest metropolis in OZ and also the capital of South Australia. The residents of Adelaide which situate in Fleurieu Peninsula north are referred to as Adelaidean. It is a home to about 1.29 million people. As the capital of SA it provides varieties of amenities as well as enviable lifestyle. The transportation system is excellent and this makes it easy for its inhabitants to get around. This metropolis was founded between scenic hills and pristine beaches. There are a number of reasons why you should consider removals to Adelaide rather than any other place. The first reason why you should consider shipping all your furniture and personal items and living in Adelaide is that it has a moderate climatic condition. The winter and summer are not harsh on the inhabitants. It has an average summer temperature of 280 Celsius though it can rise to 400 degrees during extreme hot weather. The winter average temperature is about 16 degrees. Change of weather which is one of the major problems encountered by travellers will not affect you so much if you move to Adelaide. One of the things that people consider when they are moving house abroad is the cost of living in the new place they are relocating to. People rarely move to places with high cost of living unless they are sure of their means of livelihood. If you want to relocate to an area with low cost of livelihood, you should consider removals to Adelaide where generally the cost of living is very low. Transportation is very affordable as well as renting a house especially in suburb areas. You can eat out, buy or rent a house at a lower amount than in any other cities like Sydney or Melbourne. In the relaxed and clean environment there are many restaurants, bars, cafés and any type of eating and drinking spot. Given the cultural diversity, these restaurants offer culinary specialities of various cultures at a price lower than what you will get in most other big towns. Generally SA and Adelaide is reputed as the wine capital of the continent. So, you will be served with rich wines to gulp down the nice dishes you are served. Definitely, you will like to move to a place with a better job opportunity. You are most likely going to find employment in Adelaide especially if you are a skilled worker. The unemployment rate in here is not high compare to other parts of the world. The unemployment rate from January to March in 2007 is 6.2%. However, some parts of Adelaide have better job opportunities than other parts. The unemployment rate in the eastern part of SA is 4.9% while it is 5.0% in the Southern part. The northern suburb has a higher unemployment rate of rate 8.3%. If you are coming for a vacation or studies, you will find part-time and casual employment. There are more of such jobs than permanent jobs. Adelaide is fast becoming the education hub of OZ. It is being popularised as a learning region. So, if you are looking for a place to get better education, it is an option for you - see student visa. There are many international students in here and the number is increasing on yearly basis. There are different types of educational institutions in Adelaide including foreign institutions. If you are moving with your family, there are many primary and secondary schools to choose from. Some are private establishments while some are owned by the government. There are also Catholic schools as well. For all students we offer cheap shipping to Adelaide. 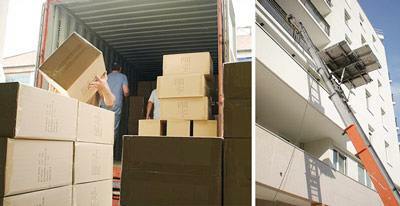 Contact us today and compare our shipping costs against the rates offered by other movers. On the tertiary level, Adelaide has 3 public universities, 3 foreign universities’ constituent colleges and one private university. Some of the universities are The Flinders University of SA, the University of SA and University of Adelaide. The city’s universities are highly rated across the globe. Research institutes are available for all students. So, whether you are coming for studies or you are coming with your children, you will get better schools in the city. 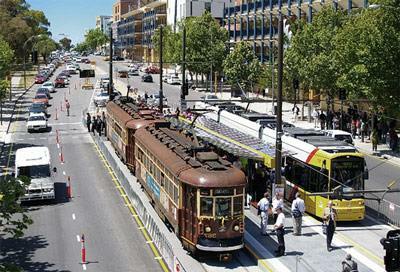 Adelaide features a lot of amenities to make life easy. There are also beaches and places of interest suitable for holidaymakers. Are you having a look around for back-of-the-envelope handling rates to Adelaide from Norwich, Carlisle, Chichester, and Londonderry or from any city in Great Britain? 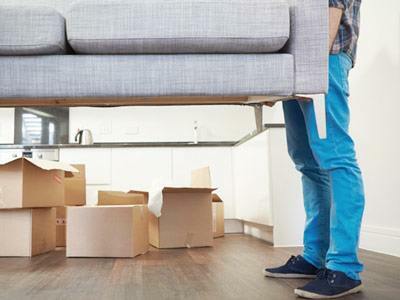 Our reliable and reduced international moving partners have the resources to carry your cheap cardboard boxes, table, Ottoman, hard drive, table + 4 chairs, coffee table and additional family wares to wherever in Adelaide - City of Prospect, SA 5082, Enfield, City of West Torrens, SA 5033, Willunga South, Marion, SA 5043 and many more. We have got whopping know-how in exporting all capacity of cardboard storage boxes - sizeable, small-scale, five or one cubic ft or 34 cubic ft. It doesn't matter if you will try to ship 4 or 3 or thirty three moving cardboard boxes to City of Burnside, SA 5066, Port Noarlunga, Tea Tree Gully, SA 5091 or Gould Creek we are trained to ship your goods. Transporting extra suitcases to Adelaide from Lincoln, Dundee, and Durham or from any other town in England and UK should not be steep. Our bargain-counter and low-priced removals companies to Adelaide from UK provide local-cost proximate delivery costs to City of Playford, SA 5113, Woodville West, North Adelaide SA 5006, Brooklyn Park and to any place you are going. Proved and standard motor vehicle and car transportation to Adelaide is also something our relocation scholars have the expertise to schedule for you. We are sending any hodgepodges of pantechnicons to Adelaide from St Albans, Lichfield, Exeter and similar. Our qualified air shipping specialists are experienced enough to relocate your Reliant from Liverpool to City of Port Adelaide Enfield, SA 5015, ship your Desoto Custom from Armagh to City of Holdfast Bay, SA 5048 or convey your Plymouth Fury from City of Onkaparinga to Lisburn. We will be happy to plan the carriage of a motorbike to Unley, SA 5061. Our global shipping companies could shift your HYOSUNG to Gawler, SA 5118, transport your KTM to Torrensville or get your VINCENT to Mitcham SA 5062 with fervour. We do not care if one have been sending a limited number of large moving boxes or complete two or three bedroom semi-detached house worth of gear and great cardboard boxes one would email us as soon as possible. Our quality UK to Adelaide Removals office will be pleased to forward every number of box-room desks and computers, pantry and outdoor things. Local moving company may bring off the carryings of DIY tools, door furniture and accessories, fireplace grate, golf bag and amplifier or medium red jersey tank to Campbelltown, NSW 2560 from Preston, moving potted plants, hardware, Jeffrey Campbell Lit shoes, gold jewellery to City of Charles Sturt, SA 5011 from Coventry or relocating cardboard boxes, moving house packing boxes, shoes for men or wine to Adelaide from Peterborough. We have the right equipment to charily pack all your frangible stuff like - pictures, keyboard, desktop utilities, child's chair, pictures, steel filing cabinets, swivel chairs, explosive materials, bedding sets, double bed and other. Examine decent UK abroad transport companies to Adelaide instantly to scan rough-and-ready transport prices to City of Norwood Payneham & St Peters, St Agnes, and Richmond different. 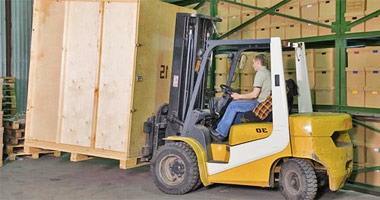 Ascertain how much it is to forward 20ft container or one third of a container. Abroad Office local movers hit the end of chock-a-block and massed container shipping to Adelaide, Evanston or Direk from Stoke-on-Trent, Glasgow and all UK. Transferring overweight factory equipment worldwide like graders, pre-press - ctp systems, metal detectors, flexible gravity expandaveyor or prepress-proofers is adjunct portage solution we are in position to run for you. We transport titanic factory plants for collective industries - unions, misc., payroll services, medical instruments & supplies, books, magazines & newspapers, mortgage company and more. The permits will be straightforward but if for any reason they were not forthcoming obviously my problem. 2. The boat will need the single axle removed before shipping to Adelaide from UK from the trailer in order to fit in the container (it has drag wheels on the rear cross member that can support the boats weight so I would envisage reversing the boat half in the container, remove the axle and then rolling it back on the drag wheels. The single axle, mud guard and wheels would need to be stacked in the container - they all unbolt). I can organise my own guy to come and do this on site but obviously more than happy to let you do it if you have capability. Same applies at the Australian end - if you have capability to reassemble great if not I will deal. 3. Can you please advise delivery location for the goods in the UK? 4. Can you please provide details and advice on shipping insurance you can offer including whilst the goods are stored at your premises until I take collection in Adelaide. 5. Can you please provide a quote for handling the Australian end as well up until the point of collection in Adelaide by me. 6. Is there anything on my manifest you would suggest that I do not bring ? 8. We are dual UK/Australian residents. If you have any other suggestions any thing looks unworkable or you have a better way to ship all of this by all means please let me know. Also what's the average cost of shipping to Adelaide from UK? Boat 6,47 2,41 1,803 28,11 Trailer needs axle removed to be able to be fitted into 40 foot container - it has drag wheels on rear so will still be able to me moved into container after axle is removed. Things that can be packed in car/boat (so not included in the above.